Well, Mitt Romney, does corn count as an amber wave of grain? According to Stephen Colbert, Romney should know — because he sure has asked that same question in enough speeches by now. 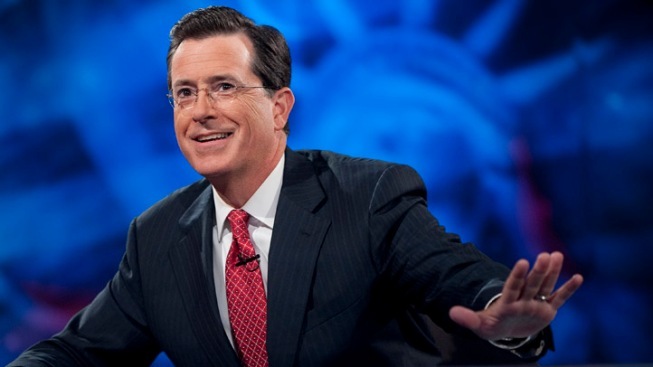 On "The Colbert Report" Wednesday, Romney's razor-thin apparent victory in the Iowa caucuses was the talk of the hour. So was the "rousing, impromptu victory speech" — Colbert's words — for which Romney ditched the teleprompter in an effort to appear more natural. But Romney caught flak from Colbert for again not appearing natural when Colbert replayed a barrage of clips of the GOP frontrunner delivering his stump speech throughout the last week. In all those speeches, as well as his pre-victory speech Tuesday night, Romney quoted the same lyrics from "America the Beautiful" and made the same crack about amber waves of grain in Iowa. "I think we'll all remember where we were every time we heard that," Colbert said.